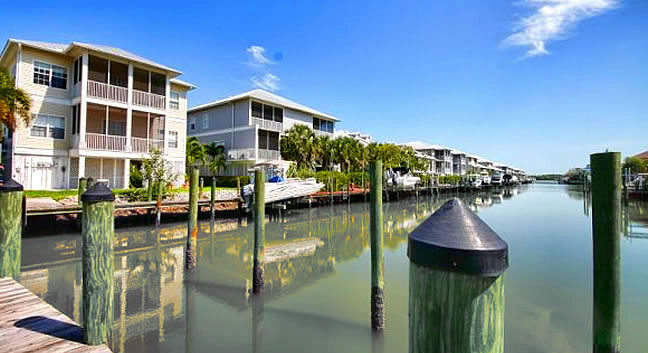 Calusa Island Village is a community of low-rise 1-3 level waterfront condominiums located on Angler Drive in the Goodland fishing neighborhood of Calusa Island. This southeastern area of Marco Island has breathtaking, beautiful water's edge views, and these residences are exceptional in design and comfort. Calusa Island is a modern fishing village with a marina. There is both a tranquil and an exhilarating atmosphere amid this scenic setting along coastal waters of the Gulf of Mexico. These properties have numerous amenities, which include a community pool, boat dock with direct Gulf access, and many condos have waterfront lanais for panoramic views. The quaint Goodland neighborhood is charming and easy-going, and will allure guests to return time and time again. Calusa Island Village condominiums are homey and spacious and their location is amid some of the most natural wonders in the United States. Only a few minutes north of Marco and Calusa Islands are National Parks and Reserves that will amaze the entire family. To the south of Marco Island are numerous, tiny unscathed islands, which is the perfect area for nature lovers to spend countless hours. Where is Calusa Island Village? Monthly maintenance fees for Calusa Island Village condos is $558. Given the super low-density layout of these homes, this is reasonable. The maintenance fee includes master insurance, cable TV, lawn maintenance, landscaping , manager , pest control , reserve , security , trash removal and water & sewer. Remember that, in south Florida, wind and flood insurance is expensive. This is included in just about every condo fee in the area and accounts for the biggest chunk of the fee. Pets are allowed at Calusa Island Village. As long as your pet is vertically challenged and doesn't exceed 15", you're good. Check pet policies on all waterfront condos here. The minimum rental period in Calusa Island Village is 7 days. This means as an owner, you have the ability to earn strong rental income year-round. With most boating condos requiring minimum rental stays of 30 days, your unit will have little competition for off-season vacationers. Floor plans for Calusa Island Village are not currently available. 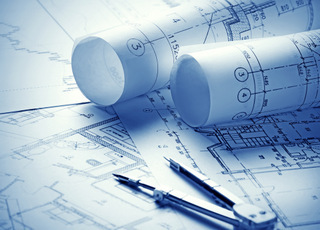 Call us with specific floor plan questions and we'll be happy to find the answers. Can't find that boat condo you're looking for? Let us search for you. Just fill out the form below with your specific needs and we'll email the properties to you.